Let’s see… entertaining game? Check. Home team played pretty well but lost? Check. In front of not very many fans? Check. Did I move to Vancouver without knowing it? I liked the Rock’s green St. Paddy’s Day jerseys. Not sure about the gold helmets. The Mammoth offense in general was great and scored a bunch of beautiful goals. Callum Crawford in particular scored a couple of nice ones. He tried at least two “face the other way, jump, spin, and shoot while still in the air” shots, and one of them worked. Early in the game, Eli McLaughlin found himself with the ball right on the edge of the crease. He faked low, waited for Rose to drop, and tossed it over him. Smart play. Then late in the second quarter, Stephen Keogh did almost the same thing, but from a little further out. He faked the underhand shot (pictured below but from a different game), causing Rose to drop again, then scored over Rose’s shoulder. Later on, Keogh picked up the ball in the Rock zone and was immediately triple-teamed by Rock defenders. A few seconds later, a fourth Rock defender joined the fray, but Keogh kept the ball for at least ten seconds. He even managed to get a half-decent shot off but missed the net. It looked like he was killing a penalty but he wasn’t. Given the amount of work he put in, I almost wanted him to score. I heard other Rock fans applauding him too as he returned to the bench. Kieran McArdle scratched again. I thought he’s played well enough recently to stay in the lineup, so perhaps he had work commitments or something. Only 8597 at this game. Only ten Rock home games ever have had lower attendance, and three of those have been this season. The Mammoth defense did a great job containing Tom Schreiber. He had nothing to shoot at all night. I put this under “not awesome” because I’m a Rock fan, but if I were a Mammoth fan, I’d have put it under “awesome”. The Rock brought out a pipe band to help celebrate St. Patrick’s Day, a day where we celebrate Ireland. What song do they play as the enter the arena? Scotland the Brave. There’s a big gap between the Watson and Doyle banners at the ACC. Just enough room for a third that says Veltman. In the fourth quarter, I tweeted the Mammoth, asking if they wouldn’t mind not scoring because the Rock were trying to tie the game. They responded by hitting the post twice on empty nets. Thanks for trying! Callum Crawford is becoming one of my favourite players because he’s so dynamic. He’s a great passer but can also shoot from anywhere – inside, outside, in close, from distance, even from above the goalie when he does his signature “leap in the air and then bounce it five hole from twelve feet up” move. I’m also a big Stephen Keogh fan. And Joey Cupido. And Ilija Gajic. And Dillon Ward. And Alex Buque. And… Hold on… am I becoming a Mammoth fan? 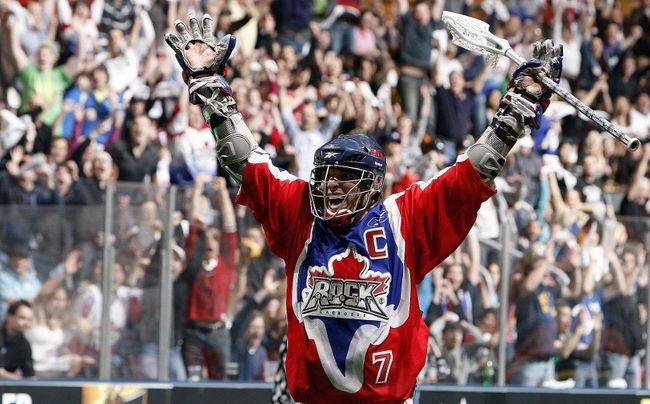 On a night where the Toronto Rock celebrated Colin Doyle’s contributions to the team and honoured him by raising his jersey to the rafters of the ACC, it would have been fitting for the Rock to win the game by scoring a beautiful late clutch goal since that’s something that Doyle was known for. But they didn’t. The Roughnecks probably wouldn’t have played along and nobody on the Rock wanted to take the chance that Calgary would score the clutch goal and win. Losing on Colin Doyle night wasn’t an option, so the Rock just decide to score a bunch of goals and take the clutch-ness out of it entirely. The ceremony to honour Doyle was well done. It wasn’t a quick “let’s get this over with” thing, but it didn’t drag on for ages either. Jamie Dawick spoke briefly about what Doyle has meant to the Rock, even long before Dawick himself arrived. Then they showed a video of some of Doyle’s best moments, a bunch of shots of him holding the Champion’s Cup, a listing of his accomplishments, and some interviews with current and former teammates and coaches. The man himself stepped up and talked for a few minutes, and was just as classy and well-spoken as you’d expect from Doyle. He thanked a bunch of people including Dawick, former Rock owners Bill and Brad Watters, all of his teammates and coaches (collectively), the Rock trainers and doctors, the fans, and his family. He also singled out a few people who are no longer with us: Terry Sanderson, Chris Hall, and Les Bartley. 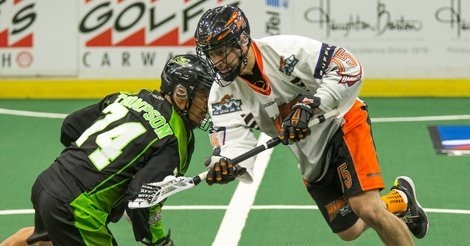 If you weren’t at the ACC or watching on the live stream, head over to nlltv.com and check out the video. During his speech, one of Doyle’s daughters (cute-as-a-button 6-year-old London) noticed that she was on the Jumbotron while daddy was talking, and started to ham it up a little, dancing around, bowing and curtseying. She stole everyone’s attention away before Doyle noticed and said “Don’t encourage her!” but how could you not? Former Maple Leaf captain Wendel Clark was also there, and helped carry the banner out before it was raised. I thought it was a little strange that he didn’t speak at all but I’m sure it was a case of “they didn’t come to see me, they came to see him“. These classy Toronto team captains stick together. Latrell Harris, Billy Hostrawser, Sandy Chapman, Challen Rogers. These guys were everywhere and did a great job of getting in the way of the Calgary offense. I feel like I should apologize to Billy Hostrawser. I’ve been hard on him in previous years for taking dumb penalties, and even implied that his only reason for being on the floor was to fight. But he’s turned into a damn fine defender. Another seven points from Tom Schreiber, who even made a couple of great defensive plays as well. Turns out the MLL MVP is a pretty good lacrosse player. Refereeing. I rarely call out refs because they have a very difficult and thankless job. But the whistles were out in full force in this one. If you looked at someone the wrong way, you were in the box. There was a slashing call on McArdle in the first which was not a slash. Hostrawser was called for an illegal body check that looked totally legal to me. Scott Carnegie was given a major for an illegal body check that may have been a minor but I don’t think it was a major. Carnegie also got called for tripping which was a total accident. Gamble, checking from behind. Bell, slashing. Reinholdt, slashing. It just didn’t stop. Then in the middle of the fourth, a Calgary player gave a Rock player a blatant cross check across the back just after he’d passed the ball. No call. The mind, she is boggled. Latrell Harris got another breakaway but couldn’t bury it. I think he’s 1 for at least 5 on such breakaways this year. But his defense is good enough that it’s not a big deal. The Rock only allowed a single goal in the first half. Then they allowed NINE in the second half. Luckily the Rock offense didn’t take any time off so it wasn’t a big problem but allowing nine goals in a half is a bit concerning. I can’t say for sure that that’s what happened, but that’s how it looked to me. I looked over the replay on nlltv.com but the shot clock was not shown on the screen and I couldn’t hear the shot clock whistle at all, so that doesn’t clear anything up. 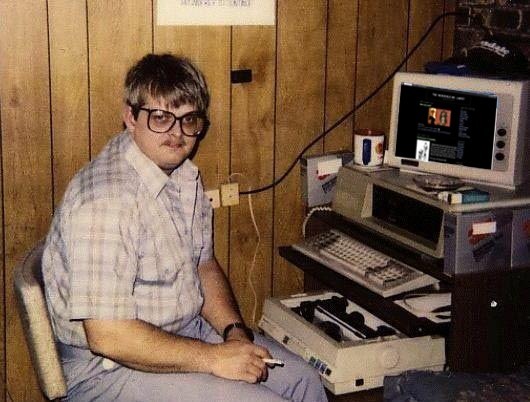 The ref who reviewed the goal checked all of the replay views and none of them showed the shot clock either so he had no way to confirm Calgary’s suspicions. It should be technically possible to embed the shot clock and game clock time in the video itself so that either all shots from all angles have the clock displayed on the screen, or there’s some other way to determine the time from the video. This is not a small project though. As my wife said following the game, it wasn’t as much of a blowout as it could have been, but it wasn’t really a close game either. We all know that Calgary has the offensive ability to make up 4 or 5 goals in no time flat, and in the second half they proved they could score a bunch to make it close, but on this night the Rock offense was just a little bit better. I calculated last year that I’d probably seen around 200 pro lacrosse games over the years, but I had never been to a practice. 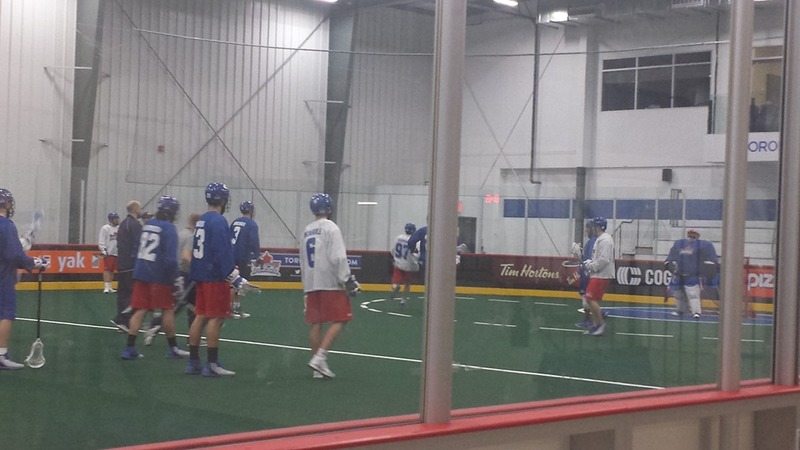 I was able to remedy that this week, taking in the Toronto Rock practice at the TRAC this past Tuesday. Judging by the public turnout at this one, I’m going to guess that most fans haven’t seen one, so I thought I’d outline what I saw. 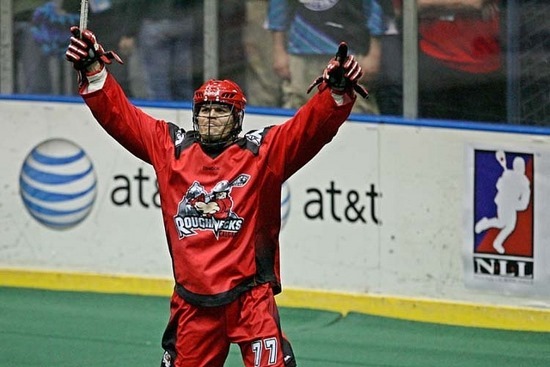 Practices are open to the public and I couldn’t hear anything anyway, so sorry to the Roughnecks scouts looking for inside information to use this weekend. I got nothin’. I thought the practice started at 7:00 but it was actually 8:00 so I had over an hour to hang out. Luckily the TRAC is a busy place. Colin Doyle was running a lacrosse camp for 10-12 year old kids, and that was quite entertaining. Colin was great with them. When I arrived, he was running some shooting drills at the far end, while a number of goalies were taking shots from another coach. After a while, Colin came down and took a couple of shots on the goalies, and then all of the other kids came down as well. Colin started demonstrating some trick shots, starting by faking a shot over the goalie’s right shoulder and then shooting behind the back, scoring over his left. Then he went in for another shot and the goalie thought he was going to do the same thing, but he faked a shot, faked a behind the back shot, and then shot forward again. Gotta keep those goalies on their toes! Next he faked forward, faked behind the back, and then dropped his stick and shot underhand. For the last one, he stopped right in front of the net, bent over forwards, put his stick between his legs and shot over his back. He missed that one. He had the kids laughing a lot. He even hit the goalie in the face with one trick shot, and immediately dropped and did three push-ups. Presumably, there’s a rule. Then each kid got to run in on a breakaway and try one of these shots, and he came in with one kid, faking a shot and then passing to the kid for quickstick shot, but he missed. After the shots, they played a half-hour game (two 15-minute quarters) complete with scoreboard, shot clock, and two NLL referees. I was very impressed at the skill level of these kids. Many of them tried the trick shots they had learned earlier, and one even dove from behind the net, tucking the ball in the side. Cory Vitarelli would have been proud. One team tried a hidden ball trick as well, where all five players gathered near centre and put their sticks together, then all ran out at once cradling what may or may not have been a ball. I think the kid who actually had the ball ended up dropping it, but it was a good attempt. Around 7:45, the kids were done and cleared the field. After a few minutes, Brock Sorensen came out and started taking some shots on the empty net. He’s missed all of this season thus far so I was glad to see him out there, especially without any kind of brace on his knee. But that was only for a few minutes. The rest of the team started coming out and taking shots, and Brock vanished, only to return a few minutes later with a knee brace. The team was broken up into blue shirts and white shirts. I figured this might have been for a scrimmage later on, and I was a little confused as to why there were so many more blues than whites. It took me an embarrassingly long time to realize that the blues were defense and whites were offense. I was surprised to see both Tom Schreiber and Kieran McArdle out there. I guess I assumed they wouldn’t fly up to Toronto for a mid-week practice (“We’re talking ’bout practice here. Not a game, practice!”). In addition to Sorensen, it was nice to see other injured players Kasey Beirnes, Rob Marshall, and Patrick Merrill shooting the ball around, though Merrill was always by himself and didn’t join the rest during the drills. I also saw Josh Sanderson, though not on the floor, and Jamie Dawick was on the floor for a while too. While the team was doing 2-on-2 drills at one end of the floor, Dawick was taking shots on the far net from half. I couldn’t hear anything from the floor so I have no idea what Matt Sawyer, Manning, Codd, Pat Campbell, or strength and conditioning coach Sean Holmes were saying. After 20 minutes or so of Holmes-led stretching, they started some defense and shooting drills. Next were some fast-break drills – one player would start at the far restraining line with the ball, and when the whistle blew, he’d run toward the net, three defenders would run out from the far bench, and three offensive guys from the near bench, and the shooters would try to score. Jamie Dawick came by and we chatted for a while. He said the whole team is just blown away with Latrell Harris – obviously he’s playing very well and beyond his years but he’s a great person off the floor too. Dawick said he’s been impressed with their other rookie D guys as well – Harris is a little more flashy but Jordan Magnuson and Challen Rogers are both solid players and have benefited from some great coaching in Coquitlam. We talked a little about the American guys – I mentioned earlier that I was surprised that Schreiber and McArdle made the practice, but Dawick said they’ve made almost all of them (“honestly, it probably takes them the same amount of time to fly in as it takes someone driving in from Peterborough”), and when they’re not coming up to Canada for practice, they’re watching game film and really studying the box game. Clearly, it’s paying off. Dawick also expressed his admiration at Bruce Codd’s coaching abilities. 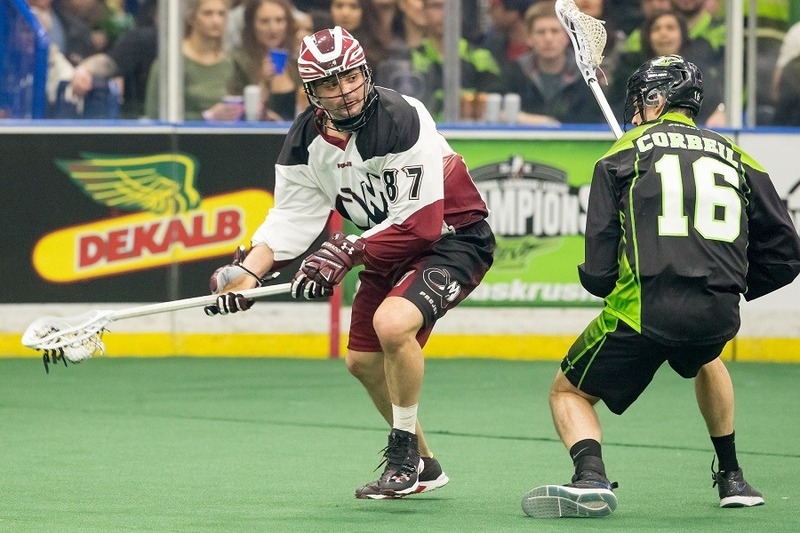 Codd is new on the Rock bench this season, and while Dawick didn’t know him very well before, he’s been very impressed with how Codd is running the defense. He then left to go and do some President/GM things, and I watched the rest of the practice. After some more shooting drills, the offense and Blaine Manning broke off into one group and the defense and Bruce Codd into another. Most of the next while was just the coaches talking and the players listening, though I did notice veteran Kasey Beirnes offering his opinions to the O guys as well. Holmes then came back out for some more stretching to end things off. 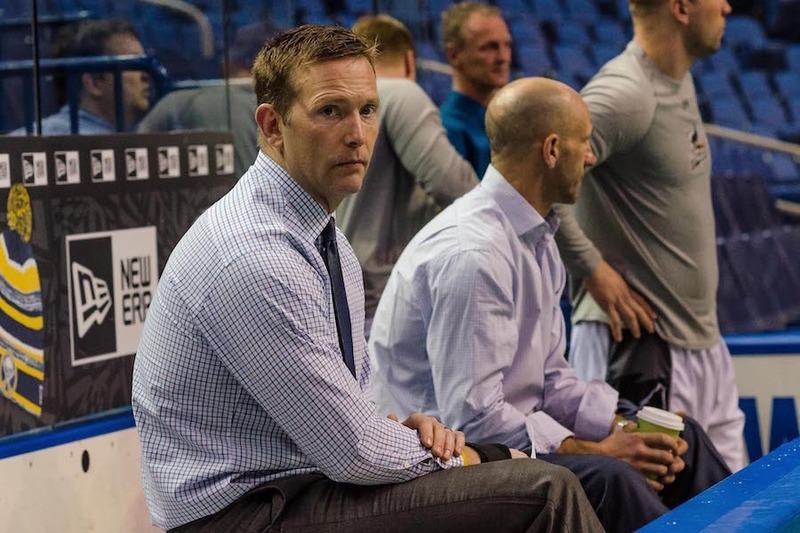 Most of the players did what he was showing them but many did their own thing, and the goalies (Nick Rose and Steve Fryer – didn’t see Brandon Miller) left early. I didn’t see any specific goalie drills at all, but most of the passing and shooting drills ended with a shot on Rosey or Fryer so they got their work in too. Thanks to Jamie Dawick for the chat and for making Rock practices open to the public, even if very few Rock fans take advantage of it. Another exciting, down to the wire, overtime game, just like the last home game. But ultimately another loss, just like the last home game. Latrell Harris had another strong game. That guy impresses me more and more every game. The PA guy on Friday night called him “Kid Rock 2.0”, which I kind of like. (Kim Squire, who also wore #93, was known as Kid Rock in the early 2000’s). 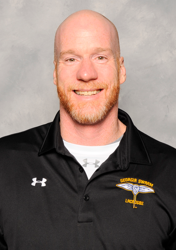 Joel Coyle took two penalties in the first quarter, but stayed in the penalty box a total of 22 seconds because the Rock scored on the PP right away in both cases. After Brett Hickey’s goal to put the Rock ahead early in the fourth, he gave spirited, almost violent, high fives to everyone on his way back to the bench. I love to see that level of intensity. But Hickey’s a strong guy – I’d hate to see some Rock player miss a few weeks because a Brett Hickey goal celebration dislocated his shoulder. New England defense and Evan Kirk. Most Rock possessions lasted either 5 seconds because someone would shoot right away or 29 seconds because they’d shoot just before the shot clock expired. The Black Wolves D just wouldn’t let them get any good looks at the net. And when they did, Kirk was there to stop them. Nick Rose. He wasn’t terrible – only allowing 10 goals in 60+ minutes ain’t bad – but he didn’t seem to be seeing the ball terribly well. I think two of the first three shots he faced beat him, but one rolled wide by a few inches and he turned around in time to stop the other one. Another time he dropped to his knees thinking the shot was going low but it went high, and luckily hit his shoulder and stayed out. A few other times were similar but he wasn’t so lucky and they went in. Once or twice we saw him sliding to his right when the shot went in to his left. That said, a couple of Kevin Buchanan’s goals were just lasers into a corner, and there’s nothing Rose could do about those. Black Wolves shooters. I can’t count the number of times they shot and missed the net entirely. Sometimes it was because they were stick-checked while shooting, but not always. Sometimes, a lot of times actually, they just missed. Only 8477 at this game. I really hope there are a ton of people at the next home game, where they’ll be raising Colin Doyle’s jersey to the rafters. Doyle deserves that. Speaking of former Rock captains deserving to be honoured, it’s time for Jim Veltman’s #32 to be raised as well. I know Veltman and Jamie Dawick had issues (mainly financial, I believe) after Veltman retired, but that was years ago. Move on and do the right thing. The people behind us who laughed at Brett Bucktooth’s name when it was announced after a penalty. Disrespectful. Speaking of disrespectful, people who boo the refs when they make a correct call if it goes against the Rock. I don’t like it any more than you do, but the Rock goal in OT should not have counted. Disallowing the goal was the right call and the video replay made that clear, so booing the refs makes no sense. My friend Mike pointed out that there were no moving picks called the entire game. But there were a lot of possession changes (on both sides) due to players running through the crease. I wasn’t sure whether this was awesome or not. Phil Caputo and Sheldon Burns had a short but intense fight and immediately were sent to the penalty box. Burns got to his box first and while Caputo was walking by, Burns reached out for a fist bump, which Caputo gave him. 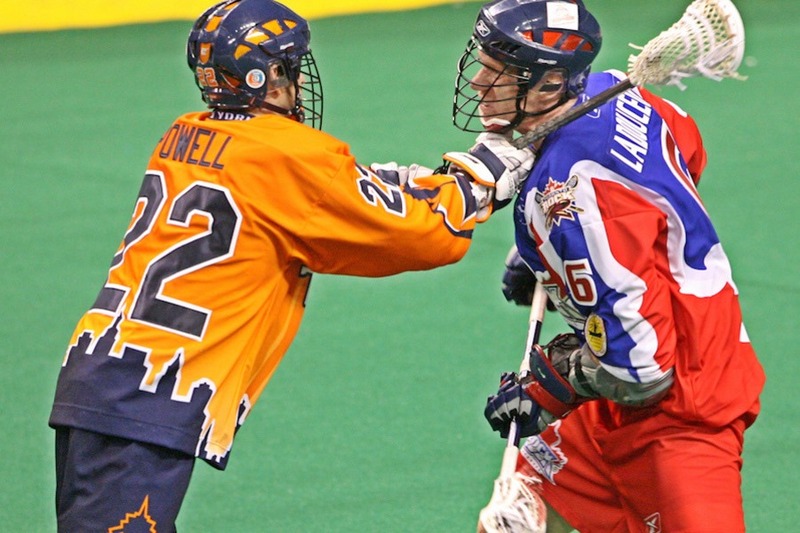 I like the fact that lacrosse players will fight each other during the game and then show respect by buying each other a beer at the bar afterwards, but showing that respect ten seconds afterwards? Isn’t that a little too soon? Maybe, maybe not. I think I’m leaning towards awesome.